The United States on Monday blocked the adoption of a UN Security Council statement that would have called for an independent probe of deadly violence on the Israel-Gaza border, which erupted as the new US embassy in occupied Jerusalem was opened, diplomats said. “The Security Council expresses its outrage and sorrow at the killing of Palestinian civilians exercising their right to peaceful protest,” read a draft of the statement. 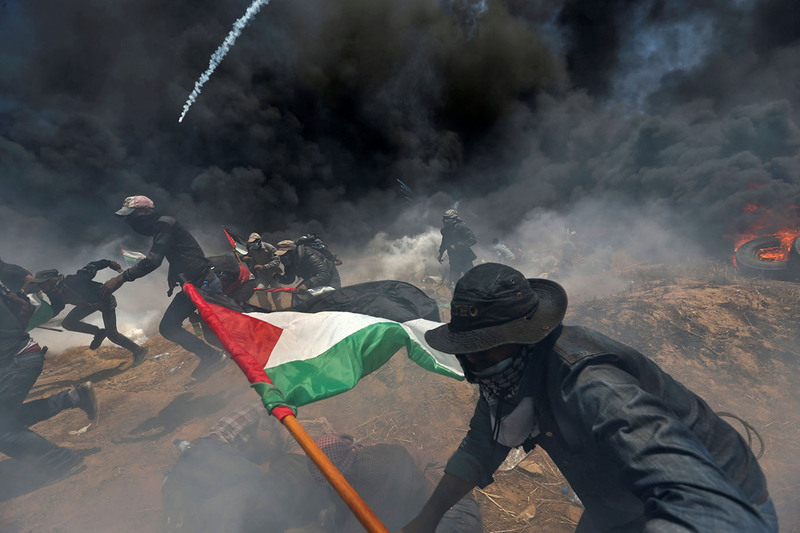 They erupted before Israeli officials and a White House delegation including President Donald Trump’s daughter Ivanka formally opened the embassy in occupied Jerusalem, and the bloodshed continued throughout the day. It also said that any decisions and actions “which purport to have altered the character, status or demographic composition of the Holy City of Jerusalem have no legal effect” — a reference to the US decision to recognize occupied Jerusalem as Israel’s capital. The Palestinians see occupied east Jerusalem as the capital of their future state.